AGHA Sydney Gift Fair exhibitor LaVida is one of Australia’s most popular wholesalers of giftware and homewares. This season LaVida is presenting some of its new ranges that are ‘bang on trend’ with the beautiful colours and textures of navy, timber and white. One of the largest selling style ranges is Coastal and Beachside which includes a variety of decor looks from Hamptons through to Hippie. Achieving that relaxed coastal vibe that everybody wants, products include beautiful shades of blues and aqua, paired with calming tones of whites and neutrals and lots of natural raw products. 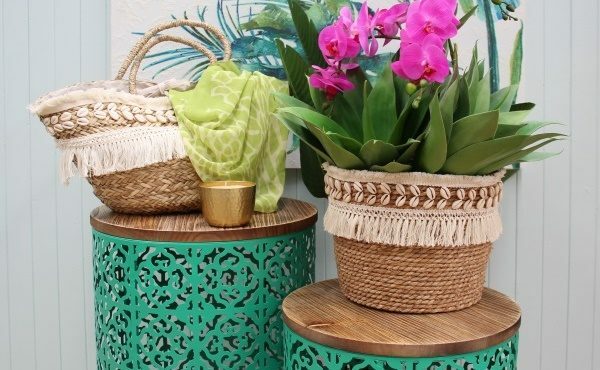 Texture is also being introduced with layers of linen, driftwood, shells, and boho macramé items being the ‘it’ products of the season. With LaVida's range of products showcasing everything from the heavy textures and rough finishes of a rustic country shack, through to the polished timber and clean lines of a modern city apartment, there is sure to be something that tickles your fancy. With everything from coasters and candles through to artwork and furniture you will find everything you need to delight and amaze your customers. LaVida was established in 2001 and has grown in leaps and bounds over the years to become one of the major wholesalers in Australia and New Zealand. With over 3,500 items on the website there is a huge variety of products and styles to choose from to complement any retailer or interior decorator. LaVida has a specialised in-house team of designers and buyers that are dedicated to creating unique and interesting items and ensuring that its high level of quality is maintained. The company sources items from India, Vietnam, Indonesia and China and is constantly on the lookout for new inspiration and ideas to keep its ranges fresh and up to date. See the latest ranges from LaVida at Stand DR5 & DR6, 23-26 February 2019.